In June, we wrote about California Senate Bill 190 which was written to help the families of minors charged with crimes. The costs to families associated with juvenile offenses can be immense and mind boggling, as we mentioned before. SB 190 was crafted to ease some of the burden, banning the collection of fees in the juvenile-justice system across the state. SB 394: writes into state law a U.S. Supreme Court decision whereby minors can’t be sentenced to life without parole. SB 395: requires minors speak with an attorney before waiving any legal rights. SB 439: keeps children 11 and under out of the juvenile justice system. Thus far, only SB 439 has made its way through the California Senate, according to the article. The others are still awaiting a green light from the legislative body, after which the State Assembly must approve similar bills. The last step is Governor Jerry Brown signing the bills into law, probably sometime this fall. “I feel optimistic that our entire juvenile justice and equity package will be signed into law," said Sen. Mitchell. "My colleagues in the Legislature and the governor’s office have heard the general public loud and clear in their approval of Proposition 47. The people have demonstrated their desire for a shift away from a punitive orientation system, to a new approach that focuses on prevention, and rehabilitation." The four bills in question can make huge difference, across the state. If you have a son or daughter who has been charged with a crime, please reach out to us for help. 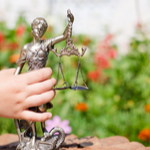 Attorney Katie Walsh and her team can answer your questions, and help your child achieve the best possible outcome.